1. Start out by finding the LARGEST mixing bowl you can find. I used this absolutely obnoxiously large metal bowl to make this. Ironically the same kind of bowl my mom would use when we were kids to make popcorn, but that a whole different story. 2. Add your sugar and egg yokes to the large bowl and whisk together thoroughly. ***TIP: You’ll need the egg whites later so make sure you save those and don’t trash them. 5. Add your egg whites to your mixer and beat on high, again to form stiff peaks, and fold that into the bourbon mixture. 6. Grad fresh nutmeg on top of the eggnog and mix in. 7. 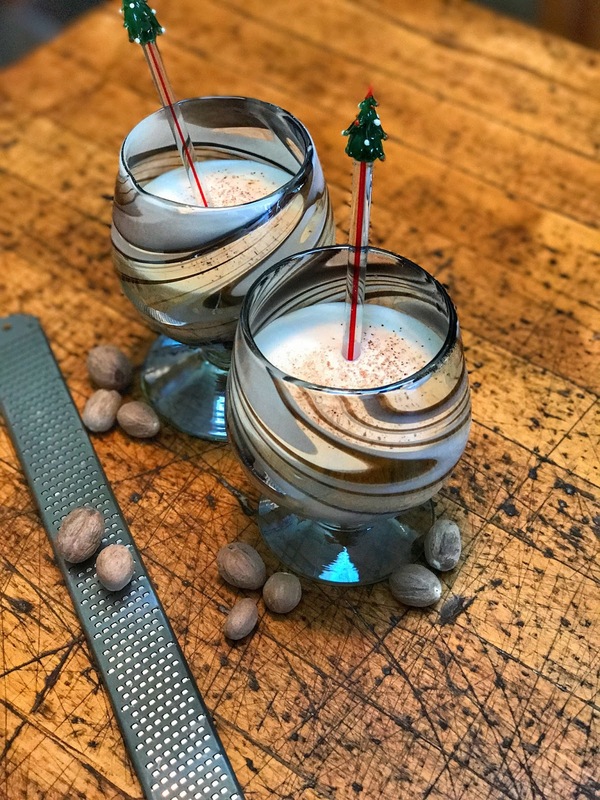 This is the recipe from our friends and they stop here when making eggnog. I personally think it is a little too strong….Tanner (my husband) called me a wussy. So follow step eight to make it a little sweeter! 8. Take a 1/2 c powder sugar and 1/2 c heavy cream and whip that in your mixer. It will look and taste like cool-whip; the kind you can buy at the store. 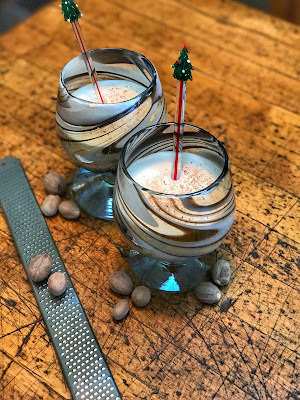 Fold this into the eggnog mixture and it will bring a sweeter profile to the drink. 9. Serve right away with a little more freshly grated nutmeg on top, or put in an air tight container and refrigerate. The shelf life of the eggnog can last for about a month, and actually tastes better the longer it sits. ***TIP: When you let the eggnog sit in the refrigerator it will naturally separate. Don’t be alarmed, just give it a good stir before serving. Also, here are some fun holiday items to bring this drink to life. Just click on the link below! « Something Light and Refreshing After the Holidays….